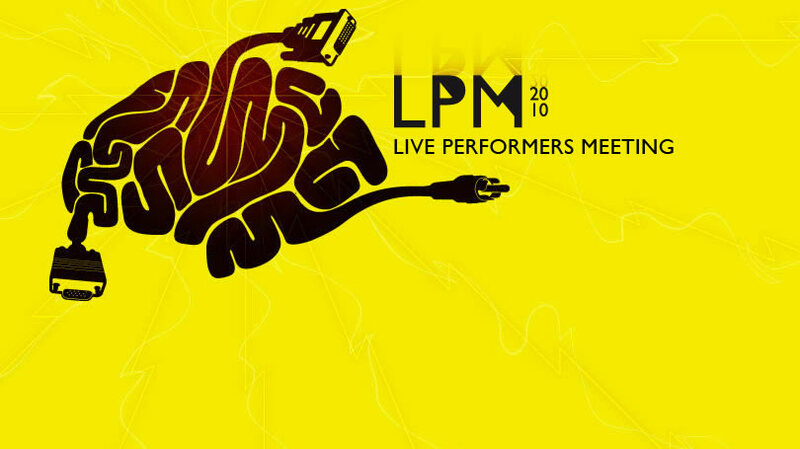 From 27th to 30st of May 2010, at Brancaleone in Rome, will take place the eighth edition of LPM – Live Performers Meeting: an international meeting of live video performers, visual artists and vjs, focused on live video performances. Rome 2009 edition, registered the presence of 362 artists coming from Italy, Portugal, France, Germany, Canada, Hungary, United Kingdom, Poland, Spain, Uruguay, Latvia, Switzerland, Netherlands, Ireland, Sweden, Mexico, Greece, Denmark, United States, Austria, Australia, Turkey. During the whole four days, 289 performances, workshops and showcases, gave life to each area of the 900 square meters space of Brancaleone, enhanced with 15 projectors and as many screens. For the second consecutive year, the edition of LPM settles in an exclusive location, the long-standing Brancaleone that with its structure, perfectly fit the growing needs of a meeting, that year after year has definetely enlarged its range of contents, artists and audience. LPM once again, will use its 4-day formula, creating a truly unique event and granting a program full of workshops, project showcases, softwares and brand-new products. Installations and exhibition stands will be active throughout each day and broad areas of discussion and exchange will be available for the whole event. LIVE VIDEO is obviously the main focus of the four days and each day is highly characterized by the different themes and scenes contributing to the event. Digital Freedoms is a day of meetings that will bring together the leaders and creators of electronic culture and digital Italian. The intent is to bring together theoreticians, ideologists, experts, activists and artists under a single date, to present and discuss the most significant sector. At the center of attention is placed to the essence of culture, politics and communication through new media, while remaining firm and the spirit of freedom that has characterized them for decades. Coordinators of the day a committee of excellence, Luigi Pagliarini (Artificialia), Simona Lodi (Piemonte Share), Arturo Di Corinto (FHF), Filippo Martorana (Linux club), Oriana Persico and Salvatore Iaconesi (Art is Open Source). This first day is devoted to electronics tunes, the very root of performative video that, in different ways, links together all the participants at the meeting, conferences, projects, performances and VJ sets. It will be accompanied by the dense sounds and incessant beat of electronic club music, with the broken rhythms of breakbeat and drum’n’bass. In addition to the technologies available this year, LPM has to “offer at the mercy” to the participants vjs, a DJ of excellence: SHY FX. In the second day devoted to electronics tunes, the central role will be played by projects more sensible to different sub-genres of electronics: 8-bit electronics, and electropop. Rhythms and sounds generated by Nintendo images, unique softwares, samplers, mini-synthesizers and vocoders, for an entertaining and “light” atmosphere, ready to involve and drag audience and participants. From to 2 to 5 am, the area will be invaded by the pulsating tunes of Techno and Electro. A full day of Queer independent culture, a summary of the several projects active at a national and international level to experience the language of representation in terms of gender, politics and sexual orientations, aiming to deconstruct stereotypes and ideological power relationships. Background videos and music will be shown during dinner, and after dinner a dedicated AV performance and vjset will be set. As usual, at the end of the evening, an open time for VJs will take place: vjs can perform freely, taking advantage of the many available video consoles, beamers and monitors. LPM 2010 keeps the spirit of a meeting, which has been its main characteristic since the first edition. It is conceived to be a place for comparison and exchange of information and ideas among vjs, visual artists, live-video performers and passionates. Experimentation is one of the founding elements of its philosophy. LPM is a non-profit organisation where any gained fund is invested in supporting the research and development of the live visual field. Similarity of ideals and common roots has prompted LPM to join the Avit network, whose aim is to improve and promote the culture of veejaying events worldwide. After the first festivals in England, the Avit network expanded worldwide, establishing collaborations as C23 in Germany (AVIT Berlin), Vision’r in France (AVIT France) and LPM in Italy. This partnership of “network” and “meeting” is possible thanks to a common cultural background and a strong affinity of spirit and purposes. LPM is not a festival, it is an opportunity of meeting to get a glimpse of what visual-artists are creating or, even better, what they could create. Therefore, and in order to allow so many interesting artists to perform, the maximum length of a performance is 30 minutes. The subscription to join LPM is FREE and is open from now until 10th of April, 2010. For further details on how to subscribe, see the “participate” section of the website. LPM is produced and managed by Flyer Communication (www.flyer.it), Linux Club (www.linux-club.org), FLxER.net (www.FLxER.net) and FLV – Flyer Live Visuals (livevisuals.flyer.it), thank also to the cooperation of important international partners.